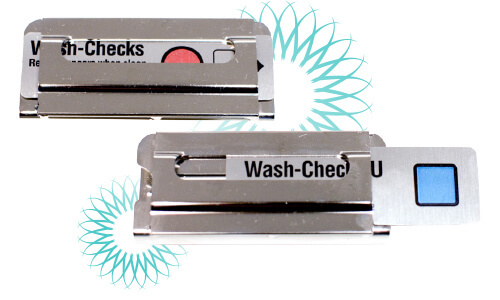 Proper cleaning is the first and most important step to effective Instrument Reprocessing. Visibly clean instruments might not be enough to ensure quality of your cleaning protocol. Wouldn’t you want to know if your instruments have passed the first step? Hu-Friedy Cleaning Monitors are designed to monitor the efficacy of the cleaning process when using washer-disinfectors and ultrasonic cleaners. The monitors contain a non-toxic test soil that mimics the presence of blood and tissue on an instrument surface. Full removal the test soil indicates an effective cleaning process. How Do Cleaning Monitors Work? Until Hu-Friedy Cleaning Monitors, no other tests or methods existed in the dental industry that measured multiple parameters to your cleaning process. Have you considered all the factors of an efficient cleaning cycle? CLICK HERE TO VIEW THE CLEAR AND SIMPLE RESULTS INTERPRETATION SHEET. Why Would My Process Fail? There are many things that can affect the quality of your cleaning protocol. 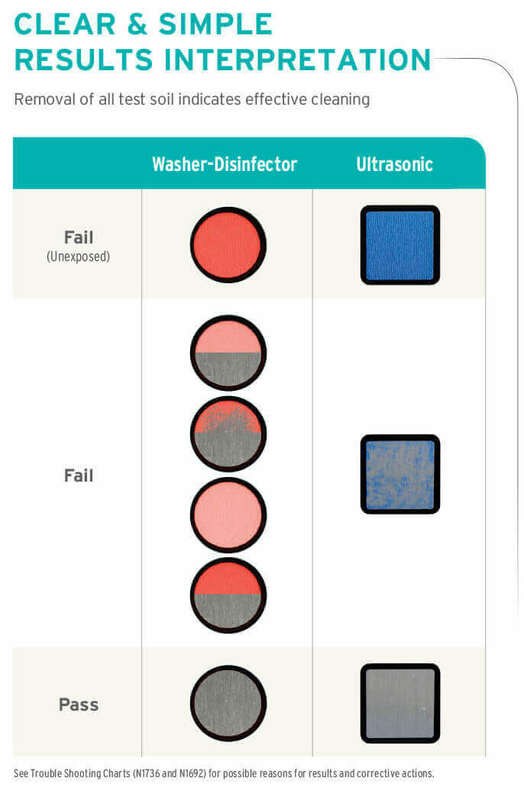 Rather than assuming that your instruments are clean just by looking at them, let’s consider some of the common process failures for your Washer-Disinfector or Ultrasonic Cleaner. When do you use Cleaning Monitors? Run a monitor test in the morning to release the equipment for use and minimum of one monitor per load for load release. Monitor once daily with an empty load for a machine release and periodically throughout the day with instruments for a load release, if needed. Who Should Use Cleaning Monitors? Proper infection control is the responsibility of all office team members, especially if you are the designated Infection Control Coordinator. Adding additional safeguards to your cleaning and sterilization protocols will help increase office efficiency and ensure proper instrument reprocessing. Colored test soil on strip is designed to parallell the removal of blood and bioburden from an instrument surface. Reusable stainless steel holder secures monitor in place in order to provide accurate results.